Steven Morphis helped his father build the three-bedroom rambler outside Renton where the 67-year-old lived alone after his parents' deaths. He was killed last week by a Tacoma man who apparently wanted to steal Morphis' house and 7-acre property, according to sheriff's detectives. A Tacoma man with a lengthy criminal record is accused of bludgeoning a 67-year-old man to death in an apparent plot to move into the man’s house, according to the King County Sheriff’s Office. The victim, Steven Morphis, lived alone in a secluded three-bedroom rambler on nearly 7 acres, across Highway 169 from the Cedar River southeast of Renton. His house, tucked into a wooded lot in the 16700 block of 196th Avenue Southeast, isn’t visible from the road, King County property records show. Those attributes are apparently what attracted Jeremy James Shaw, 39, to the property and led to the decision to kill Morphis, says the probable-cause statement outlining the sheriff’s case against him. Shaw lived with his wife and teenage daughter in a rented bungalow in Tacoma, according to Pierce County court and property records. He was a stranger to Morphis, confirmed King County sheriff’s spokesman Sgt. Ryan Abbott. Shaw and his wife, Lorena Belle Shaw, were arrested Wednesday in connection with Morphis’ death. Jeremy Shaw was booked into the King County Jail for investigation of homicide, burglary and arson, and Lorena Shaw, 37, was booked on investigation of rendering criminal assistance, burglary and arson, jail records show. A judge on Wednesday found probable cause to hold the couple, and on Friday, Jeremy Shaw’s bail was set at $1 million; Lorena Shaw is being held in lieu of $100,000 bail, jail and court records show. The Shaws are expected to be criminally charged on Monday, according to King County prosecutors. The two are also accused of stealing Morphis’ bank card, driver’s license and other items, including a variety of collectibles and his car, which was found torched in a parking lot in University Place, the probable-cause statement says. Morphis had helped his father build the nearly 2,000-square-foot home in 1989 and, while it is not clear if he lived there for the entirety of the last three decades, he had lived there with his parents until their deaths and then lived in the home alone, Abbott said. The Shaws had been looking for a new place to live and about a month ago, Jeremy Shaw was out looking for houses when he came across Morphis’ property. Police say he went to the door with a phony petition so he could get Morphis’ signature, get a look at the property and determine who lived there, the statement says. “He found the property was not visible to the street or any other house and Morphis lives alone,” it says. On Sept. 19, Shaw allegedly knocked on Morphis’ door, pepper-sprayed him in the face, then bludgeoned him, the statement says. The King County Medical Examiner’s Office determined Morphis was struck on the head five times, each blow causing a large skull fracture, and his throat was cut, according to the probable-cause statement. Morphis’ body was discovered around 7:15 p.m. on Sept. 20, when two handymen arrived at his house to do some work for him, Abbott said in a news release last week. The probable-cause statement says Morphis’ body was found in a detached shed on his property. His ankles and wrists had been bound and his body was wrapped in a comforter and tarp, the statement says. Deputies also discovered what looked like a grave had been dug at the bottom of the stairs off the back deck, it says. Major Crimes detectives contacted Morphis’ bank and learned there had been activity on his account well past the estimated time of death, the statement says. Early on Sept. 21, a $4,100 transaction was attempted using Morphis’ debit card. The failed transaction was to Aryan Enterprises, a roofing company owned by Jeremy Shaw, according to the statement and state licensing records. About two hours after the failed bank transaction, Morphis’ missing car was found completely burned in a parking lot in University Place, says the statement. Though Morphis’ cellphone hasn’t been found, cellphone tracking data showed his phone was taken from his residence at 5:40 a.m. on Sept. 20 and was tracked to the area of the Shaws’ Tacoma residence, where it registered being in that area most of the day, according to the probable-cause statement. Around 7:40 p.m. that night, the cell records show the phone registered back up in the area of Morphis’ property. “This is about 30 minutes after 911 was called about Morphis’ body being discovered and law enforcement was already on scene. The cellphone is then seen heading back down to the Tacoma area where it ends up no longer registering after midnight,” the statement says. Based on the bank and phone records, detectives obtained a search warrant for the Shaws’ house, where they found Morphis’ bank card and driver’s license — both had been shredded — along with collectibles that appeared to belong to Morphis, according to the statement. Sheriff’s detectives allege Lorena Shaw was aware of Morphis’ death, participated in the burglary of his house, and assisted her husband in fleeing the scene where Morphis’ car was set on fire, according to the statement. 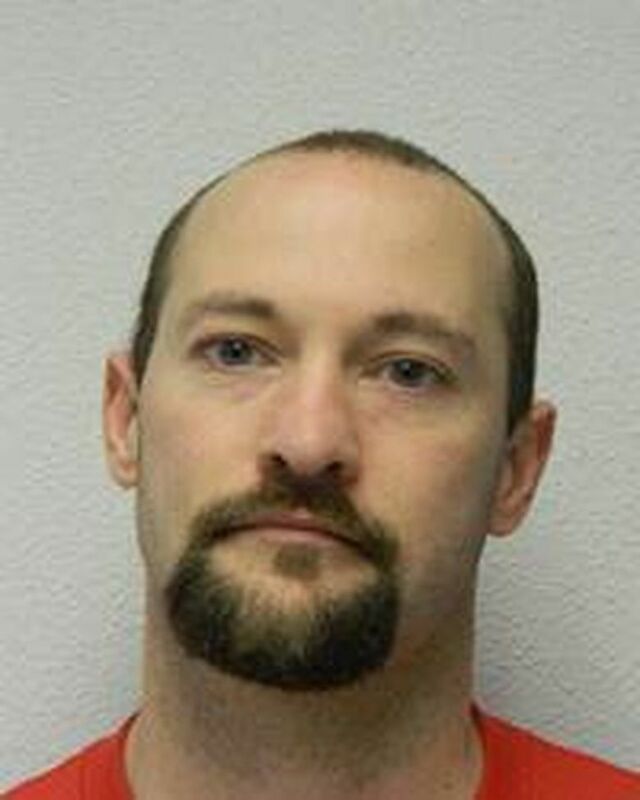 Jeremy Shaw has numerous felony convictions for possessing stolen property, stealing cars and possessing drugs, dating back to the early 2000s, according to court records in Pierce and King counties. He pleaded guilty to first-degree burglary in 2012 in Pierce County and was sentenced to a little over 7 years in prison, the records show. He was released in June 2016 and completed community supervision in December 2017, according to a spokeswoman with the state Department of Corrections. In April, Jeremy and Lorena Shaw were charged with forgery, accused of attempting to cash phony checks at the Emerald Queen Casino, court records show. Lorena Shaw entered into a diversion program and her case was dismissed, but the forgery case against her husband is pending. In August, Tacoma police learned Jeremy Shaw was wanted on a warrant out of Kansas on a drug charge, court records say. Concerned he might be armed and unwilling to surrender, “officers arrived in numbers” at his Tacoma residence, where his wife and daughter claimed Shaw wasn’t home, say the records. Shaw was found hiding under a bed and was later charged with five counts of unlawful possession of a firearm after police discovered three handguns and two bolt-action rifles in his house, according to the records. Because of his prior felony convictions, it is illegal for Shaw to possess guns. He was released from jail after posting a $20,000 bond on the firearm charges, the records show. Court records say Shaw was to report to Pierce County Superior Court on Oct. 18 to be arrested on the warrant out of Kansas. Editor’s note: Comments have been disabled on this story.